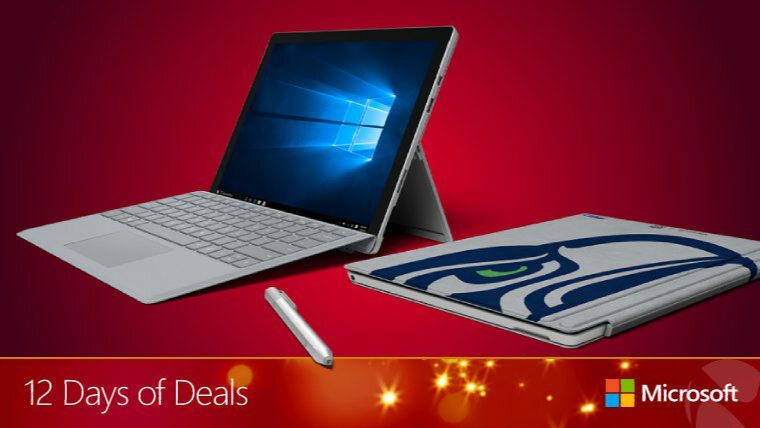 Today, Microsoft is ending it’s annual 12 Days of Deals with a discount on Surface Pro 4 devices. Now you can get up to $200 off on selected Surface Pro 4 models, except for the entry-level $899 Intel Core m3 variant. The Surface Pro 4 Core i5 version with 4GB RAM and 128GB SSD gets $150 off, reducing its price from $999 to $849. Microsoft is also giving away a free Type Cover keyboard with every new Surface Pro device. You can get Type Cover keyboard up to $359 value, which includes not only the ‘standard’ Type Cover but also the $159 Signature Type Cover, the Type Cover with Fingerprint ID and the Special Edition NFL Type Covers that launched a few months ago. As with the other 12 Days of Deals, don’t forget that today’s offers are available for today only, and will end at 11:59 pm PT.